If you’ve been following us across our social media channels of late, you will have noticed that we’ve recently moved into our new home. After almost 12-months of building, we have finally finished our self-build project, and what an experience it has been. We’ll be sharing lots of articles on the self-build process and our new home over the coming weeks and months (and possibly years), but with the Christmas holiday season slowly creeping up on us, we wanted to share some decluttering tips that we’ve found really useful during our self-build. The back-to-school feeling can be contagious. There’s a sense of organisation and improvement that spreads throughout the population, including but not limited to kids. It’s not uncommon for a lot of people to make the most of the last trimester of the year. Indeed, now that the summer is over, it’s arguably the best time to give your home the attention it needs. Time for a large-scale clearing action! Get your mops, your garbage bags and your dusters out, your home needs to be freed from the clutter accumulated throughout the year (or in some cases, years). How do you best declutter your home before the festive season – which brings a new decor and plenty of Christmas-themed items? There are three main approaches you can take to clear your house from the unnecessary clutter. One rule to guide you throughout – less is more! You need to be honest with yourself when you start decluttering. There will be many items that you don’t use anymore. Anything from that pair of shoes you don’t wear to the coffee table that’s stored in the garage can be sold through auction platforms such as eBay, Gumtree or even Facebook market. You could even try selling at a local car boot sale or even checking if any friends or family fancy any of your old furniture items (it’s can sometimes be a shame to simply dump something just because you no longer use it). You will need to review the condition of the item, first. Something that has been damaged is not suitable anymore. Additionally, you should also research delivery options such as a large item courier for furniture and sports equipment. Some buyers live too far away to organise a pickup but would be interested in purchasing the item. If you take the time to plan this out well, you can certainly make a few pound from items that are sitting around gathering dust. 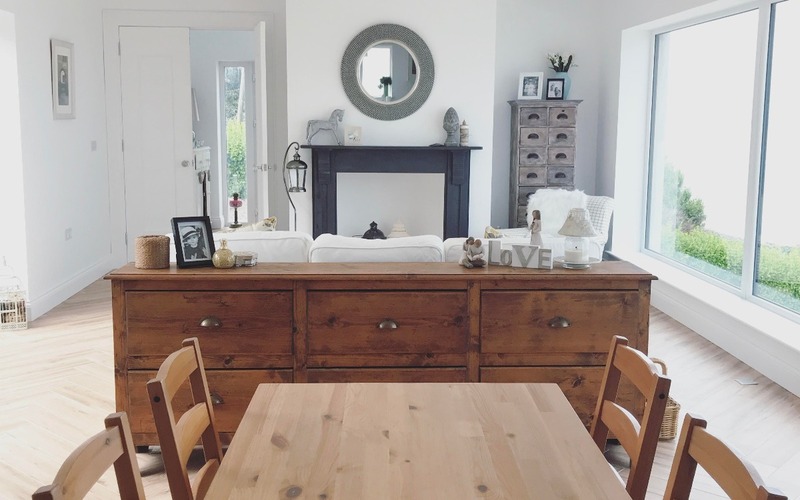 We’re big upcycling fans and have upcycled several items of furniture as part of our self-build (we’ll be sharing more tips on upcycling over the coming weeks). Not everything you have can be sold. Some objects could be reused. For instance, if you’re an enthusiastic crafter, you could easily upcycle an item into something else. 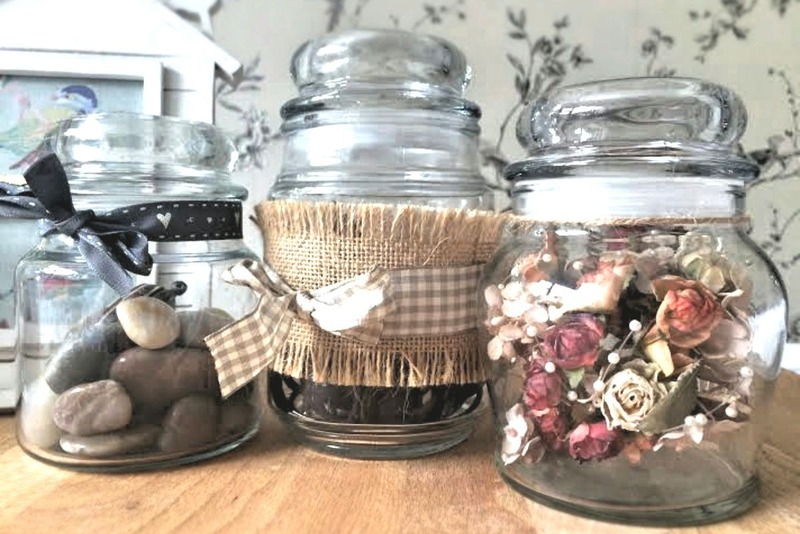 You can turn an old glass jar into an elegant decorative item which you can use at home (something we’ve previously shared). For avid DIYers, a wood cot can be turned into a bench and a small desk for a child – you can find plenty of tutorials on YouTube about this one as it’s a popular project. You can enhance a photo frame using pieces of ceramics – that old plate with a broken rim can get a new purpose in the process – and collected seashells. You can bring old furniture to life with a lick of paint and some new fabric – all it takes is some TLC. In a word, if you are smart with your hands and you’ve got the right tools, you can give your clutter a new function. Not everything is good to be repurposed or sold. Sometimes, clutter is nothing more than accumulated junk that belongs in the bin. If you do decide to throw away the things you don’t want anymore, you should take the time to create adequate recycling piles. A broken wooden chair can be recycled professionally into something new, assuming you dispose of it properly, for instance! Be sure to research everything that your local recycling centre takes to help you easily sort what can be recycled and what needs to dumped. 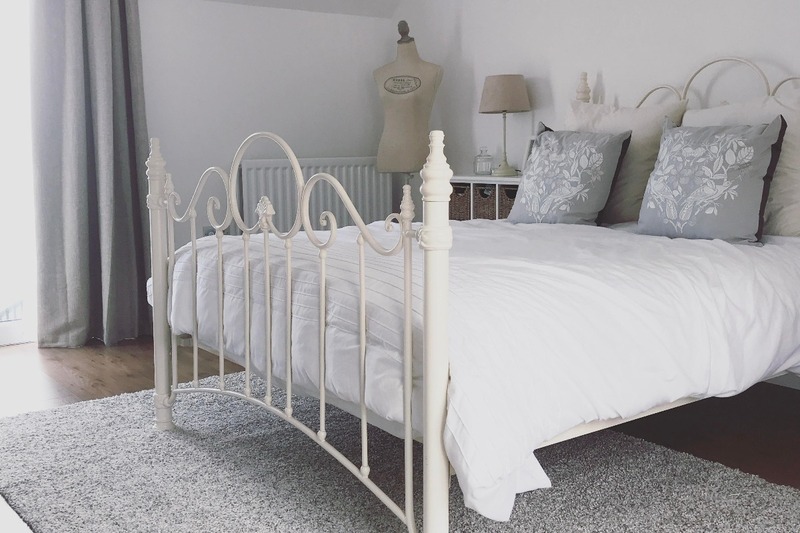 At the heart of decluttering, there’s the need to organise your home. Maintain this sense of organisation to your decluttering project. Hence, you can dispose of everything you don’t need in the best possible manner for your finances and the environment. In short, declutter without creating more clutter elsewhere! Have you got any tips for decluttering your home? Share them with us in the comments section below or over on our social media channels – Facebook, Twitter or Instagram.